For this pretty quilt she used mostly Fig Tree fabrics. The pattern is a Cluck, Cluck Sew pattern, "Spin Cycle". I quilted a simple all-over concentric swirl - one of my favorites because it gives so much texture without detracting from the piecing. There's nothing I like better than a stripe binding - perfect. This gorgeous mini trip around the world quilt is made with Katarina Roccella fabrics. She is an Art Gallery designer. These fabrics are SO beautiful. 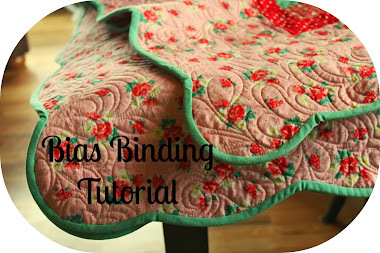 Carol chose that striking pink binding - she's the binding queen! It's always fun to quilt for Carol - I love her diverse taste in quilts. Thank you, my friend, for sending me some pretty spring flowers to work with, even though we still have snow outside. My friend, Lexie, and I taught a mystery quilt class through our local Adult Education program. It was a stretch for the students to take a class where you don't know what you are creating. Each week we handed out a clue. The only "hint" we gave them is to pick contrasting fabrics for the background and the pieced areas. We also told them there would be an element of nature. It started to drive them bonkers when we couldn't answer their questions, like....."...would this color look good here?" or......"...why am I making SO many flying geese units?" It's a V and Company pattern, "Home for the Holidays"....you can find it here. I used an Ash Grunge for my background and pulled from my stash aqua/yellow prints and pink/orange prints. 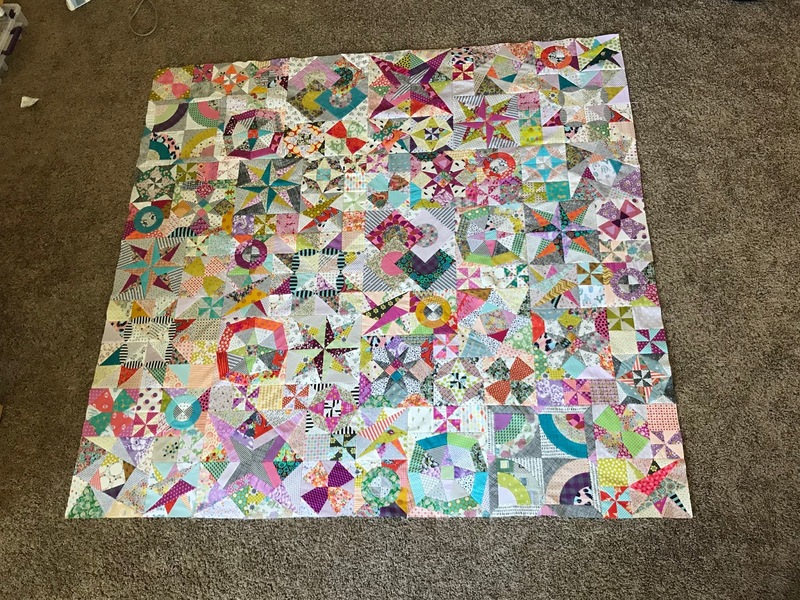 It's such a cute quilt - I really love it. I love the flannel backing. I hung on to it for years and it finally found its home. I quilted randomly spaced straight horizontal lines - I wanted minimal quilting because of the flannel backing. It's still so snowy here. I don't think it's ever going to end.....but, it's pretty and makes a pretty background for my sweet quilt. I love simple patterns so this "Simple Addition" pattern was perfect for me. 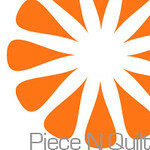 You can find the pattern at Cluck Cluck Sew - here. Allison's patterns are so easy to use. I had a fat quarter bundle of Jen Kingwell's "Gardenvale" I wanted to use for this pattern. I also had a couple of random pink solids I wanted to add for the background. I know they are Kona solids but they were an "end of bolt" item so my best guess is Camellia and Bubble Gum colors. My friend, Trish Poolson, pieced most of the blocks for me and set them together. Thank you, Trish, you did a fantastic job and the fabrics would still be sitting in my little box had it not been for you. Even though these fabrics read "vintage" to me, I wanted a more modern quilting design so I quilted it with a single wave design - one of my favorites! The backing is "Pastel Thrift - alloy". It's kind of hard to find - I wish I had at least a bolt of it! It was fun taking it outside on a very cold, but sunny, wintery day last week. I seriously love everything about my sweet quilt. Here is the "quilt-hanger-up-guy", my husband. Oh, mine is a twin size and Allison offers 6 different sizes in this pattern. We have a new little one in our family, Colton John.....he was born last October. I know - it seems to take me forever to post anything new on here anymore. Life is just crazy busy! Here are a few photos of what I made for him - they live in Washington. The nursery theme was outdoors with red & black check. flannel check on the back. I had so much fun making little burpies for him. I backed all of them with flannel. My very good friend, Carol, knit this adorable little hat for him with a bunny tail topper. Thank you, Carol - he loves it! 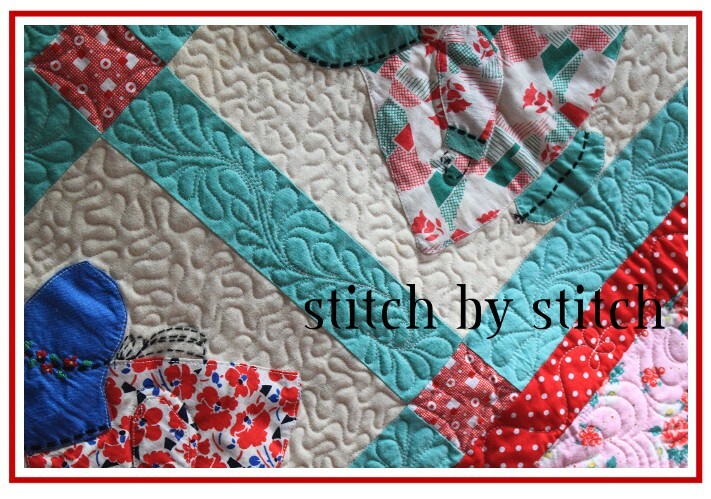 I made a little quilt using "Thicket" from Gingibear panel. I bordered the panel with random size prints to match and added a little love label of my own. The backing is "Burly Beavers" thermos flannel. Welcome to this crazy world, little Colton. We recently decided to teach the jelly roll rug class. I thought it was a great idea since I had planned to make one on my own a few months ago. I just kept putting it off - a little intimidated to even start. 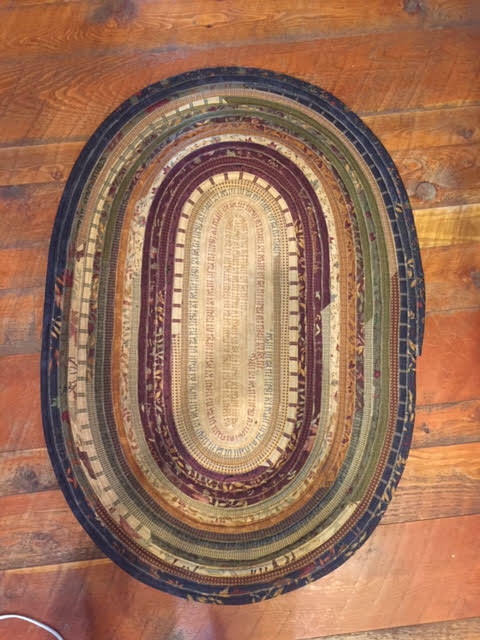 "Jelly Roll Rug", by RJ Designs. My first rug was a bit of a disaster - I only un-sewed it twice! It curled up into a sombrero - or a very large bowl - or a very pretty dog bed without the cushion! I was determined to get it right, after all, we were teaching the class in less than 2 weeks! I finally realized my stitch length was too short - I lengthened it a LOT! starch later, I have a flat rug! We had 8 students for our class - every single rug was different. I love teaching - the fabrics & personalities are all different. Here are several photos of the class. I love how the "rope" falls into a pretty pile. Roberta is making a sparkly Christmas rug. Lexie is so fun to work with. Here she is giving Carolyn some instruction. Devona & her daughter had so much fun working on one together.....I love this. Two hands are always better that one. Linda & Carolyn - so serious! Here is Linda's "rope" - the pretty blues. Tara's first rug is as flat as can be! Roberta was the first one finished in class with hers. This is Lexie's first rug - she said everyone she knows is getting one for Christmas. I'm SO glad I'm on her gift list! I might just leave it like this for a while - it's so cute. That's Lexie's next one in the background. I love her taste in fabrics! One I made out of yardage for my sister. A very good neighbor and friend got this one. I used some of my Civil War prints - goes perfectly in her vintage home. And last, but certainly not least.....my beautiful "Amy Butler" fabrics rug. Thank you, Lexie, for encouraging me and pushing me to finally take the plunge and make one - or five! I can't seem to stop!